Alison Macfarlane is a perinatal epidemiologist and statistician who joined City in March 2001 to lead research in the Department of Midwifery. In October 2010, she stood down from her role as research lead, but has continued to research part time since retiring from full time work in March 2011. After studying statistics at UCL, Alison worked as a statistician in agricultural research, transport surveys and on the health effects of air pollution. She then went to London School of Hygiene and Tropical Medicine in 1975 to work on analyses of data relevan to the health of babies and children. In 1978, she joined the newly formed National Perinatal Epidemiology Unit in Oxford and worked there until 2001 on research related to maternity care and the health of women and babies. She has particular interests in the evaluation of settings for birth, inequalities in health and children from multiple births and their families. As a statistician, she is interested in the interpretation and use of official statistics and in their relationship with policy, in relation to health and health care in their widest sense as well as to maternity issues in particular. 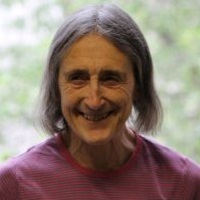 In October 2010, she stood down from her role as research lead, but has continued to research part time since retiring from full time work in March 2011. Particular areas of interest are inequalities in health of parents and babies particularly in relation to social factors, migration and access to maternity care, multiple births and their implications, comparisons of birth in community and hospital settings, history of official statistics and maternity statistics in particular, including Florence Nightingale's involvement with maternity statistics. Perinatal epidemiology; analysis and interpretation of routinely collected data. Assessing the impact of a new birth centre on choice and outcome of maternity care in an inner city area. National Institute for Health Research, Research for Patient Benefit. Linkage, analysis and dissemination of national birth and maternity data for England and Wales. Medical Research Council. Europeristat-IV perinatal indicators project. Funded by EC-Public Health Executive Agency. Further information: Lecturer in Midwifery, research currently suspended. Thesis title: The Barkantine Birth Centre: an ethnographic study. Further information: Senior Midwife and NIHR CAT Research Fellow Barts Health NHS Trust. Macfarlane, A.J. and Dorkenoo, E. (2014). Female Genital Mutilation in England and Wales: Updated statistical estimates of the numbers of affected women living in England and Wales and girls at risk. Interim report on provisional estimates. London: City University Lonond and Equality Now. ISBN 978-1-900804-92-9. Macfarlane, A.J. and The Europeristat Group, (2007). The European Perinatal Health Report. Macfarlane, A.J., Dorkenoo, E. and Morison, L. (2007). A statistical study to estimate the prevalence of female genital mutilation in England and Wales. Summary Report. London: Foundation for Women's Health, Research and Development (FORWARD). Campbell, R. and Macfarlane, A. (1994). Where to be born? ISBN 978-0-9512405-1-9. Garcia, J., France-Dawson, M. and Macfarlane, A. (1994). Improving infant health. ISBN 978-0-7521-0230-6. Botting, B.J., Macfarlane, A. and Price, F.V. (1990). Three, four and more. A study of triplet and higher order births. The Stationery Office/Tso. ISBN 978-0-11-691270-1. Surveys, G.B.O.O.P.C.A., Mugford, M. and Macfarlane, A. (1984). Birth Counts - Statistics of Pregnancy and Childbirth - Tables. Macfarlane, A.J. (2007). The changing face of motherhood in the UK: trends in reproductive epidemiology. In Lewis, G. (Ed. ), Saving mothers' lives: reviewing maternal deaths to make motherhood safer - 2003-2005. The seventh report on confidential enquiries into maternal death in the United Kingdom London: CEMACH. Macfarlane, A.J. and Blondel, B. (2005). Demographic trends in Western European countries. In Blickstein, I. and Keith, L.G. (Eds. ), Multiple pregnancy (pp. 11–21). Informa HealthCare. ISBN 978-1-84214-239-4. Jayaweera, H., Joshi, H., Macfarlane, A.J., Hawkes, D. and Butler, N. (2005). Pregnancy and childbirth. In Joshi, H. (Ed. ), Children of the 21st century The Policy Press. ISBN 978-1-86134-688-9. Macfarlane, A.J. (2004). Confidential enquiries into maternal deaths: developments and trends from 1952 onwards. In MFPHM, G.L. and Health, C.E.I.M.A.C. (Eds. ), Why mothers die 2000-2002 ISBN 978-1-904752-08-0. Mugford, M. and Macfarlane, A.J. (2003). Health policy and provision for maternity care in the UK in the twentieth century. In Poland, F. (Ed. ), Women's minds, women's bodies ISBN 978-0-333-91969-9. Macfarlane, A.J. (2001). Enquiries into maternal deaths during the twentieth century. In Britain, N.I.F.C.E.G. (Ed. ), Why mothers die 1997-1999 ISBN 978-1-900364-65-2. Macfarlane, A.J. (2000). Birth and maternity statistics. In Leadbeter, D. (Ed. ), Harnessing official statistics Radcliffe Publishing. ISBN 978-1-85775-354-7. Macfarlane, A.J., Johnson, A. and Mugford, M. (1999). Epidemiology. In Rennie, J.M. and Roberton, N.R.C. (Eds. ), Textbook of neonatology Bookmantraa.com. ISBN 978-0-443-05541-6. Macfarlane, A.J. (1998). Birthweight. In Armitage, P. and Colton, T. (Eds. ), Encyclopedia of biostatistics (pp. 403–404). ISBN 978-0-471-97576-2. Macfarlane, A.J. (1998). Conceptions. In Armitage, P. and Colton, T. (Eds. ), Encyclopedia of biostatistics (pp. 870–871). ISBN 978-0-471-97576-2. Macfarlane, A.J. (1998). Gestational age. In Armitage, P. and Colton, T. (Eds. ), Encyclopedia of biostatistics (pp. 1718–1719). ISBN 978-0-471-97576-2. Macfarlane, A.J. (1998). Infant and perinatal mortality. In Armitage, P. and Colton, T. (Eds. ), Encyclopedia of biostatistics (pp. 2023–2028). ISBN 978-0-471-97576-2. Macfarlane, A.J. and Elbourne, D.R. (1998). Midwifery, obstetrics and neonatology. In Armitage, P. and Colton, T. (Eds. ), Encyclopedia of biostatistics ISBN 978-0-471-97576-2. Macfarlane, A.J. (1998). Poverty, inequality and the health of mothers and babies: what can statistics tell us? In Alliance, M. (Ed. ), "Look in the perambulators ...the public health challenges of babies born into poverty"
Macfarlane, A.J. (1997). Figures bearing on maternity poverty. In Gowdridge, C., Williams, A.S. and Wynn, M. (Eds. ), Mother courage (pp. 195–208). Penguin Uk. ISBN 978-0-14-024470-0. Macfarlane, A.J. (1994). Sources of data. In Maresh, M. (Ed. ), Audit in obstetrics and gynaecology (pp. 18–49). Blackwell Science Inc. ISBN 978-0-632-03352-2. Parsons, L., Macfarlane, A.J. and Golding, J. (1993). Pregnancy, birth and maternity care. In Ahmad, W.I.-.U. (Ed. ), "Race" and health in contemporary Britain (pp. 51–75). Open University. ISBN 978-0-335-15698-6. Macfarlane, A.J., Johnson, A. and Mugford, M. (1992). Epidemiology. In Roberton, N.R.C. (Ed. ), Textbook of neonatology ISBN 978-0-443-04088-7. Campbell, R. and Macfarlane, A.J. (1990). Recent debate on the place of birth. In Garcia, J., Kilpatrick, R. and Richards, M. (Eds. ), The Politics of maternity care Oxford University Press, USA. ISBN 978-0-19-827288-5. Macfarlane, A.J. and Botting, B. (1990). A geography variation in infant mortality in relation to birth weight 1983-85. In Britton, M. and Surveys, G.B.O.O.P.C.A. (Eds. ), Mortality and geography HMSO Books. ISBN 978-0-11-691294-7. Macfarlane, A.J. (1990). Official statistics on women's health and illness. In Roberts, H. (Ed. ), Women's health counts Taylor & Francis. ISBN 978-0-415-04890-3. Botting, B.J., Macfarlane, A.J., Price, F.V. and Richards, M.P.M. (1990). Introduction. In Botting, B.J., Macfarlane, A. and Price, F.V. (Eds. ), Three, four and more The Stationery Office/Tso. ISBN 978-0-11-691270-1. Botting, B.J., Macfarlane, A.J., Bryan, E., Murphy, M.G.F. and Richards, M.P.M. (1990). Background. In Botting, B.J., Macfarlane, A. and Price, F.V. (Eds. ), Three, four and more (pp. 15–30). The Stationery Office/Tso. ISBN 978-0-11-691270-1. Botting, B.J., Macfarlane, A.J. and Ashurst, H. (1990). Design and response. In Botting, B.J., Macfarlane, A. and Price, F.V. (Eds. ), Three, four and more (pp. 31–45). The Stationery Office/Tso. ISBN 978-0-11-691270-1. Macfarlane, A.J., Price, F.V. and Daw, E.G. (1990). Infertility drugs and procedures. In Botting, B.J., Macfarlane, A. and Price, F.V. (Eds. ), Three, four and more (pp. 46–58). The Stationery Office/Tso. ISBN 978-0-11-691270-1. Macfarlane, A.J., Price, F.V. and Daw, E.G. (1990). Antenatal care. In Botting, B.J., Macfarlane, A. and Price, F.V. (Eds. ), Three, four and more (pp. 59–79). The Stationery Office/Tso. ISBN 978-0-11-691270-1. Macfarlane, A.J., Price, F.V. and Daw, E.G. (1990). The delivery. In Botting, B.J., Macfarlane, A. and Price, F.V. (Eds. ), Three, four and more (pp. 80–98). The Stationery Office/Tso. ISBN 978-0-11-691270-1. Macfarlane, A.J., Price, F.V., Bryan, E. and Botting, B.J. (1990). Early days. In Botting, B.J., Macfarlane, A. and Price, F.V. (Eds. ), Three, four and more (pp. 99–130). The Stationery Office/Tso. ISBN 978-0-11-691270-1. Macfarlane, A.J., Johnson, M.A. and Bower, P. (1990). Disabilities and health problems in childhood. In Botting, B.J., Macfarlane, A. and Price, F.V. (Eds. ), Three, four and more (pp. 153–160). The Stationery Office/Tso. ISBN 978-0-11-691270-1. Macfarlane, A.J., Price, F.V. and Botting, B.J. (1990). Conclusions. In Botting, B.J., Macfarlane, A. and Price, F.V. (Eds. ), Three, four and more (pp. 218–223). The Stationery Office/Tso. ISBN 978-0-11-691270-1. Barron, S.L. and Macfarlane, A.J. (1990). Collection and use of routine maternity data. In Lilford, R.J. (Ed. ), Computing and decision support in obstetrics and gynaecology (pp. 681–697). ISBN 978-0-7020-1479-6. Macfarlane, A.J. and Cole, T. (1985). From depression to recession - evidence about the effects of unemployment on mothers' and babies' health 1930s-1980s. In Alliance, M. (Ed. ), Born unequal ISBN 978-0-946741-04-5. Chalmers, I. and Macfarlane, A.J. (1980). Interpretation of perinatal statistics. In Wharton, B.A. and Group, B.P.P. (Eds. ), Topics in perinatal medicine (pp. 1–11). Macfarlane, A.J. Birthweight. (pp. 1–4). John Wiley & Sons, Ltd.
Macfarlane, A., Dattani, N., Mohangoo, A., Zeitlin, J. and Collaboration, E. (2013). What can the UK learn from international comparisons of routinely collected perinatal data? UK perspectives on the Euro-Peristat project. Macfarlane, A.J. (2017). Claims female genital mutilation can have evolutionary benefits are unproven and potentially damaging. Macfarlane, A. (2019). Misleading use of FGM statistics compounds concerns about their reliability. BMJ, 364. doi:10.1136/bmj.l927 . Macfarlane, A. (2018). Re: Seven days in medicine: 28 November to 4 December 2018: Corrected figures show that numbers of reports of FGM have decreased rather than doubling. BMJ, 2018, pp. 363–363. Smith, L.K., Hindori-Mohangoo, A.D., Delnord, M., Durox, M., Szamotulska, K., Macfarlane, A. … Macfarlane, A. (2018). Quantifying the burden of stillbirths before 28 weeks of completed gestational age in high-income countries: a population-based study of 19 European countries. The Lancet, 392(10158), pp. 1639–1646. doi:10.1016/s0140-6736(18)31651-9 . Li, Y., Quigley, M.A., Dattani, N., Gray, R., Jayaweera, H., Kurinczuk, J.J. … Hollowell, J. (2018). The contribution of gestational age, area deprivation and mother's country of birth to ethnic variations in infant mortality in England and Wales: A national cohort study using routinely collected data. PloS one, 13(4). doi:10.1371/journal.pone.0195146 . Dattani, N. and Macfarlane, A. (2018). Linkage of Maternity Hospital Episode Statistics data to birth registration and notification records for births in England 2005-2014: Methods. A population-based birth cohort study. BMJ Open, 8(2). doi:10.1136/bmjopen-2017-017897 . Blondel, B., Cuttini, M., Hindori-Mohangoo, A.D., Gissler, M., Loghi, M., Prunet, C. … Berrut, S. (2018). How do late terminations of pregnancy affect comparisons of stillbirth rates in Europe? Analyses of aggregated routine data from the Euro-Peristat Project. BJOG: An International Journal of Obstetrics and Gynaecology, 125(2), pp. 226–234. doi:10.1111/1471-0528.14767 . Martin, P., Cortina-Borja, M., Newburn, M., Harper, G., Gibson, R., Dodwell, M. … Macfarlane, A. (2018). Timing of singleton births by onset of labour and mode of birth in NHS maternity units in England, 2005-2014: A study of linked birth registration, birth notification, and hospital episode data. PloS one, 13(6). doi:10.1371/journal.pone.0198183 . Schroeder, L., Patel, N., Keeler, M., Rocca-Ihenacho, L. and Macfarlane, A.J. (2017). The economic costs of intrapartum care in Tower Hamlets: A comparison between the cost of birth in a freestanding midwifery unit and hospital for women at low risk of obstetric complications. Midwifery, 45, pp. 28–35. doi:10.1016/j.midw.2016.11.006 . Macfarlane, A.J., Blondel, B., Mohangoo, A.D., Cuttini, M., Nijhuis, J., Novak-Antolic, Ž. … Berrut, S. (2016). Authors’ reply. BJOG: An International Journal of Obstetrics and Gynaecology, 123(13), p. 2231. doi:10.1111/1471-0528.14140 . Delnord, M., Szamotulska, K., Hindori-Mohangoo, A.D., Blondel, B., Macfarlane, A.J., Dattani, N. … Zeitlin, J. (2016). Linking databases on perinatal health: A review of the literature and current practices in Europe. European Journal of Public Health, 26(3), pp. 422–430. doi:10.1093/eurpub/ckv231 . Heino, A., Gissler, M., Hindori-Mohangoo, A.D., Blondel, B., Klungsøyr, K., Verdenik, I. … Ego, A. (2016). Variations in multiple birth rates and impact on perinatal outcomes in Europe. PLoS ONE, 11(3). doi:10.1371/journal.pone.0149252 . Macfarlane, A.J., Blondel, B., Mohangoo, A.D., Cuttini, M., Nijhuis, J., Novak, Z. … Zeitlin, J. (2016). Wide differences in mode of delivery within Europe: Risk-stratified analyses of aggregated routine data from the Euro-Peristat study. BJOG: An International Journal of Obstetrics and Gynaecology, 123(4), pp. 559–568. doi:10.1111/1471-0528.13284 . Zeitlin, J., Mortensen, L., Prunet, C., Macfarlane, A., Hindori-Mohangoo, A.D., Gissler, M. … Alexander, S. (2016). Socioeconomic inequalities in stillbirth rates in Europe: Measuring the gap using routine data from the Euro-Peristat Project. BMC Pregnancy and Childbirth, 16(1). doi:10.1186/s12884-016-0804-4 . Wolfe, I., Donkin, A., Marmot, M., Macfarlane, A., Cass, H. and Viner, R. (2015). UK child survival in a European context: Recommendations for a national Countdown Collaboration. Archives of Disease in Childhood, 100(10), pp. 907–914. doi:10.1136/archdischild-2014-306752 . Hollowell, J., Rowe, R., Townend, J., Knight, M., Li, Y., Linsell, L. … Silverton, L. (2015). The Birthplace in England national prospective cohort study: further analyses to enhance policy and service delivery decision-making for planned place of birth. Health Services and Delivery Research, 3(36), pp. 1–264. doi:10.3310/hsdr03360 . Wolfe, I., Donkin, A., Marmot, M., Macfarlane, A., Cass, H. and Viner, R. (2015). UK child survival in a European context: Recommendations for a national Countdown Collaboration. Archives of Disease in Childhood. doi:10.1136/archdischild-2014-306752 . Li, Y., Townend, J., Rowe, R., Brocklehurst, P., Knight, M., Linsell, L. … Hollowell, J. (2015). Perinatal and maternal outcomes in planned home and obstetric unit births in women at 'higher risk' of complications: Secondary analysis of the Birthplace national prospective cohort study. BJOG: An International Journal of Obstetrics and Gynaecology, 122(5), pp. 741–753. doi:10.1111/1471-0528.13283 . Li, Y., Townend, J., Rowe, R., Brocklehurst, P., Knight, M., Linsell, L. … Hollowell, J. (2015). Perinatal and maternal outcomes in planned home and obstetric unit births in women at 'higher risk' of complications: Secondary analysis of the Birthplace national prospective cohort study. BJOG: An International Journal of Obstetrics and Gynaecology. doi:10.1111/1471-0528.13283 . Macfarlane, A.J., Blondel, B., Mohangoo, A.D., Cuttini, M., Nijhuis, J., Novak, Z. … the Euro-Peristat Scientific Committee, (2015). Wide differences in mode of delivery within Europe: risk-stratified analyses of aggregated routine data from the Euro-Peristat study. BJOG: an International Journal of Obstetrics and Gynaecology, 123(4), pp. 559–568. doi:10.1111/1471-0528.13284 . Gagnon, A.J., De Bruyn, R., Essén, B., Gissler, M., Heaman, M., Jeambey, Z. … Vangen, S. (2014). Development of the Migrant Friendly Maternity Care Questionnaire (MFMCQ) for migrants to Western societies: An international Delphi consensus process. BMC Pregnancy and Childbirth, 14(1). doi:10.1186/1471-2393-14-200 . Macfarlane, A.J., Rocca-Ihenacho, L., Turner, L.R. and Roth, C. (2014). Survey of women׳s experiences of care in a new freestanding midwifery unit in an inner city area of London, England – 1: Methods and women׳s overall ratings of care. Midwifery, 30(9), pp. 998–1008. Husain, S.M., Wilks, M., Mupita, M., Reddy, S.P., Hennessy, E.M., Macfarlane, A.J. … Millar, M.R. (2014). Diversity and stability of cultured vaginal lactobacilli in pregnant women from a multi-ethnic urban UK population. Journal of Applied Microbiology, 117(1), pp. 258–265. doi:10.1111/jam.12506 . Rowe, R.E., Townend, J., Brocklehurst, P., Knight, M., Macfarlane, A., McCourt, C. … Hollowell, J. (2014). Service configuration, unit characteristics and variation in intervention rates in a national sample of obstetric units in England: An exploratory analysis. BMJ Open, 4(5). doi:10.1136/bmjopen-2014-005551 . Macfarlane, A.J., Rocca-Ihenacho, L. and Turner, L.R. (2014). Survey of women's experiences of care in a new freestanding midwifery unit in an inner city area of London, England: 2. Specific aspects of care. Midwifery, 30(9), pp. 1009–1020. doi:10.1016/j.midw.2014.05.008 . Rowe, R.E., Townend, J., Brocklehurst, P., Knight, M., Macfarlane, A., McCourt, C. … Hollowell, J. (2013). Duration and urgency of transfer in births planned at home and in freestanding midwifery units in England: Secondary analysis of the birthplace national prospective cohort study. BMC Pregnancy and Childbirth, 13. doi:10.1186/1471-2393-13-224 . Lack, N., Blondel, B., Mohangoo, A.D., Sakkeus, L., Cans, C., Bouvier-Colle, M.H. … Zeitlin, J. (2013). Reporting of perinatal health indicators for international comparisons-enhancing the appearance of geographical plots. European Journal of Public Health, 23(6), pp. 957–963. doi:10.1093/eurpub/cks176 . Zeitlin, J., Mohangoo, A., Macfarlane, A., Cuttini, M., Delnord, M., Gissler, M. … Barros, H. (2013). Building a European perinatal health information system: plurality, innovation and realism. European Journal of Obstetrics & Gynecology and Reproductive Biology, 171(1), pp. 193–194. doi:10.1016/j.ejogrb.2013.08.019 . Scamell, M., Macfarlane, A., McCourt, C., Rayment, J., Sunderland, J. and Stewart, M. (2013). NICE ON CAESAREAN SECTION NICE says caesarean section is not available on demand unless clinically indicated. BMJ-BRITISH MEDICAL JOURNAL, 347. doi:10.1136/bmj.f4649 . Davis, J., Banks, I., Wrigley, D., Peedell, C., Pollock, A., McPherson, K. … Munday, P. (2013). Act now against new NHS competition regulations. BMJ-BRITISH MEDICAL JOURNAL, 346. doi:10.1136/bmj.f1819 . Gestational Age? PLoS One, 8(5). doi:10.1371/journal.pone.0064869 . Zeitlin, J., Mohangoo, A.D., Delnord, M., Cuttini, M., Haidinger, G., Alexander, S. … Zhang, W.H. (2013). The second European Perinatal Health Report: Documenting changes over 6 years in the health of mothers and babies in Europe. Journal of Epidemiology and Community Health. Dattani, N., Macfarlane, A.J. and Datta-Nemdharry, P. (2012). Risk factors for infant deaths among singleton babies born at term in England, 2005-07. EUROPEAN JOURNAL OF PUBLIC HEALTH, 22, pp. 96–96. Pollock, A.M., Macfarlane, A. and Godden, S. (2012). Authors' reply to Soljak. BMJ (Online), 344(7862). doi:10.1136/bmj.e4141 . Pollock, A.M., Macfarlane, A. and Godden, S. (2012). Dismantling the signposts to public health? NHS data under the Health and Social Care Act 2012. BMJ (Online), 344(7856). doi:10.1136/bmj.e2364 . Dattani, N., Datta-Nemdharry, P. and Macfarlane, A. (2012). Linking maternity data for England 2007: methods and data quality. Health statistics quarterly / Office for National Statistics, (53), pp. 4–21. Pollock, A.M., Macfarlane, A.J. and Godden, S. (2012). Dismantling the signposts to public health? NHS data under the Health and Social Care Act 2012. BMJ: British Medical Journal, 2012(344). doi:10.1136/bmj.e2364 . Datta-Nemdharry, P., Dattani, N. and Macfarlane, A.J. (2012). Birth outcomes for African and Caribbean babies in England and Wales: retrospective analysis of routinely collected data. BMJ Open, 2012(2). doi:10.1136/bmjopen-2012-001088 . Dattani, N., Datta-Nemdharry, P., Macfarlane, A. and Thomas, G. (2012). Linking maternity data for Wales, 2005-07: methods and data quality. Health Stat Q, (54), pp. 1–24. Macfarlane, A.J., Pollock, A. and Godden, S. (2012). NHS data in the time of reform: Authors’ reply to Soljak. BMJ: British Medical Journal, 344. doi:10.1136/bmj.e4141 . Dattani, N., Datta-Nemdharry, P. and Macfarlane, A.J. (2012). Linking maternity data for England 2007: methods and data quality. Health Statistics Quarterly, 53, pp. 1–18. Pollock, A., Majeed, A., Macfarlane, A., Greener, I., Kirkwood, G., Mellett, H. … Brhlikova, P. (2011). In defence of our research on competition in England's National Health Service Reply. LANCET, 378(9809), pp. 2065–2066. doi:10.1016/S0140-6736(11)61890-4 . Pollock, A., Macfarlane, A., Kirkwood, G., Majeed, F.A., Greener, I., Morelli, C. … Brhlikova, P. (2011). No evidence that patient choice in the NHS saves lives. LANCET, 378(9809), pp. 2057–2060. doi:10.1016/S0140-6736(11)61553-5 . Gyte, G.M.L., Dodwell, M.J. and MacFarlane, A.J. (2011). Home birth metaanalysis: Does it meet AJOG's reporting requirements? American Journal of Obstetrics and Gynecology, 204(4). doi:10.1016/j.ajog.2011.01.035 . Dattani, N., Datta-Nemdharry, P. and Macfarlane, A. (2011). Linking maternity data for England, 2005-06: methods and data quality. Health Stat Q, (49), pp. 53–79. doi:10.1057/hsq.2011.3 . Pollock, A., Macfarlane, A., Kirkwood, G., Majeed, F.A., Greener, I., Morelli, C. … Brhlikova, P. (2011). No evidence that patient choice in the NHS saves lives. The Lancet. Brocklehurst, P., Puddicombe, D., Hollowell, J., Stewart, M., Linsell, L., Macfarlane, A.J. … McCourt, C. (2011). Perinatal and maternal outcomes by planned place of birth for healthy women with low risk pregnancies: the Birthplace in England national prospective cohort study. British Medical Journal, 343. doi:10.1136/bmj.d7400 . Gyte, G., Dodwell, M. and Macfarlane, A. (2010). Editorials about home birth-proceed with caution. LANCET, 376(9749), pp. 1297–1297. doi:10.1016/S0140-6736(10)61906-X . Datta-Nemdharry, P., Macfarlane, A. and Dattani, N. (2010). COUNTRY OF BIRTH OF MOTHER AND RATES OF PRETERM BIRTHS AND LOW BIRTH WEIGHT IN ENGLAND AND WALES OF BABIES OF AFRICAN AND CARIBBEAN ETHNICITY. J EPIDEMIOL COMMUN H, 64. doi:10.1136/jech.2010.120477.47 . Gyte, G., Dodwell, M., Newburn, M., Sandall, J., Macfarlane, A. and Bewley, S. (2010). Findings of meta-analysis cannot be relied on. BMJ (Online), 341(7766), p. 217. doi:10.1136/bmj.c4033 . Gyte, G., Dodwell, M., Newburn, M., Sandall, J., Macfarlane, A. and Bewley, S. (2010). Safety of planned home births Findings of meta-analysis cannot be relied on. BRITISH MEDICAL JOURNAL, 341. doi:10.1136/bmj.c4033 . Puthussery, S., Twamley, K., Macfarlane, A., Harding, S. and Baron, M. (2010). 'You need that loving tender care': maternity care experiences and expectations of ethnic minority women born in the United Kingdom. J Health Serv Res Policy, 15(3), pp. 156–162. doi:10.1258/jhsrp.2009.009067 . Gissler, M., Mohangoo, A.D., Blondel, B., Chalmers, J., Macfarlane, A., Gaizauskiene, A. … Grp, E.U.R.O.-.P.E.R.I.S.T.A.T. (2010). Perinatal health monitoring in Europe: results from the EURO-PERISTAT project. INFORMATICS FOR HEALTH & SOCIAL CARE, 35(2), pp. 64–79. doi:10.3109/17538157.2010.492923 . Urquia, M.L., Glazier, R.H., Blondel, B., Zeitlin, J., Gissler, M., Macfarlane, A. … Collaboration, R.O.A.M. (2010). International migration and adverse birth outcomes: role of ethnicity, region of origin and destination. JOURNAL OF EPIDEMIOLOGY AND COMMUNITY HEALTH, 64(3), pp. 243–251. doi:10.1136/jech.2008.083535 . Macfarlane, A.J., Gyte, G. and Newburn, M. (2010). Why medical journals get so het up about home birth? Critical appraisal. Essentially MIDIRS, 1(4), pp. 20–21. Twamley, K., Puthussery, S., Harding, S., Baron, M. and Macfarlane, A.J. (2010). UK Born ethnic minority women and their experiences of feeding a new born baby. Midwifery. doi:10.1016/j.midw.2010.06.016 . Macfarlane, A.J. (2009). Euro-peristat report. Better statistics for better health. Midwives pp. 44–45. Gyte, G., Dodwell, M., Newburn, M., Sandall, J., Macfarlane, A. and Bewley, S. (2009). No rising trend in home birth mortality. BJOG-AN INTERNATIONAL JOURNAL OF OBSTETRICS AND GYNAECOLOGY, 116(12), pp. 1687–1687. doi:10.1111/j.1471-0528.2009.02365.x . Gyte, G., Dodwell, M., Newburn, M., Sandall, J., MacFarlane, A. and Bewley, S. (2009). Estimating intrapartum-related perinatal mortality rates for booked home births: When the 'best' available data are not good enough. BJOG: An International Journal of Obstetrics and Gynaecology, 116(7), pp. 933–942. doi:10.1111/j.1471-0528.2009.02147.x . Gissler, M., Alexander, S., MacFarlane, A., Small, R., Stray-Pedersen, B., Zeitlin, J. … Gagnon, A. (2009). Stillbirths and infant deaths among migrants in industrialized countries. ACTA OBSTETRICIA ET GYNECOLOGICA SCANDINAVICA, 88(2), pp. 134–148. doi:10.1080/00016340802603805 . Deneux-Tharaux, C., Macfarlane, A., Winter, C., Zhang, W.-.H., Alexander, S., Bouvier-Colle, M.-.H. … Grp, E.U.P.H.R.A.T.E.S. (2009). Policies for manual removal of placenta at vaginal delivery: variations in timing within Europe. BJOG-AN INTERNATIONAL JOURNAL OF OBSTETRICS AND GYNAECOLOGY, 116(1), pp. 119–124. doi:10.1111/j.1471-0528.2008.01996.x . Macfarlane, A.J. (2009). Recruiting UK-born ethnic minority women and their experiences of feeding their new born baby - lessons learned from from a study of maternity care. Research, Policy and Planning, 27(1), pp. 25–38. Macfarlane, A.J., Gagon, A.J., Zimbeck, M., Zeitlin, J., ROAM Collaboration, , Alexander, S. … Vangen, S. (2009). Migration to western industrialised countries and perinatal health: a systematic review. Social Science & Medicine, 69(6), pp. 934–946. Macfarlane, A.J., Zeitlin, J., Mohangoo, A., Cuttini, M., EUROPERISTAT Report Writing Committee, , Alexander, S. … Zimbeck, M. (2009). The European Perinatal Health Report: comparing the health and care of pregnant women and newborn babies in Europe. Journal of Epidemiology and Community Health, 63(9), pp. 681–682. Puthussery, S., Twamley, K., Harding, S., Mirsky, J., Baron, M. and Macfarlane, A. (2008). 'They're more like ordinary stroppy British women': attitudes and expectations of maternity care professionals to UK-born ethnic minority women. JOURNAL OF HEALTH SERVICES RESEARCH & POLICY, 13(4), pp. 195–201. doi:10.1258/jhsrp.2008.007153 . Gyte, G., Dodwell, M., Newburn, M., Sandall, J., Macfarlane, A. and Bewley, S. (2008). An estimation of intrapartum-related perinatal mortality rates for booked home births in England and Wales between 1994 and 2003. BJOG-AN INTERNATIONAL JOURNAL OF OBSTETRICS AND GYNAECOLOGY, 115(10), pp. 1321–13. McCandlish, R., Brocklehurst, P., Campbell, R., Logan, M., Macfarlane, A., McCourt, C. … Marlow, N. (2008). National evaluation safety and cost-effectiveness of planned place of birth. BJOG: An International Journal of Obstetrics and Gynaecology, 115(8), pp. 1063–1064. doi:10.1111/j.1471-0528.2008.01767.x . Moser, K., Macfarlane, A. and Dattani, N. (2008). Survival rates in very preterm babies in England and Wales. Lancet, 371(9616), pp. 897–898. doi:10.1016/S0140-6736(08)60411-0 . Winter, C., Macfarlane, A., Deneux-Tharaux, C., Zhang, W.-.H., Alexander, S., Brocklehurst, P. … Troeger, C. (2007). Variations in policies for management of the third stage of labour and the immediate management of postpartum haemorrhage in Europe. BJOG-AN INTERNATIONAL JOURNAL OF OBSTETRICS AND GYNAECOLOGY, 114(7), pp. 845–854. doi:10.1111/j.1471-0528.2007.01377.x . Hilder, L., Moser, K., Dattani, N. and Macfarlane, A. (2007). Pilot linkage of NHS Numbers for Babies data with birth registrations. Health statistics quarterly / Office for National Statistics, (33), pp. 25–33. Moser, K., Macfarlane, A., Chow, Y.H., Hilder, L. and Dattani, N. (2007). Introducing new data on gestation-specific infant mortality among babies born in 2005 in England and Wales. Health statistics quarterly / Office for National Statistics, (35), pp. 13–27. Macfarlane, A.J. and Mugford, M. (2007). Josephine Alice Correen Weatherall (nee Ogston). BMJ, 334, p. 1278. Macfarlane, A.J., Moser, K., Chow, Y.H., Hilder, L. and Dattani, N. (2007). Introducing new data on gestation-specific infant mortality among babies born in 2005 in England and Wales. Health Statistics Quarterly, 35, pp. 13–27. Hilder, L., Moser, K., Dattani, N. and Macfarlane, A.J. (2007). Pilot linkage of NHS Numbers for Babies data with birth registrations. Health Statistics Quarterly, 33, pp. 25–33. Winter, C., Macfarlane, A.J., Deneux-Tharaux, C., Zhang, W., Alexander, S., Brocklehurst, P. … Troeger, C. (2007). Variations in policies for management of the third stage of labour and the immediate management of postpartum haemorrhage in Europe. BJOG: an International Journal of Obstetrics and Gynaecology, 114, pp. 845–854. Dibben, C., Sigala, M. and Macfarlane, A. (2006). Area deprivation, individual factors and low birth weight in England: is there evidence of an "area effect"? JOURNAL OF EPIDEMIOLOGY AND COMMUNITY HEALTH, 60(12), pp. 1053–1059. doi:10.1136/jech.2005.042853 . Macfarlane, A. and Tuffnell, D. (2006). Diabetes and pregnancy - Type 2 diabetes needs the same level of care as type 1. BRITISH MEDICAL JOURNAL, 333(7560), pp. 157–158. doi:10.1136/bmj.333.7560.157 . Blondel, B., Macfarlane, A., Gissler, M., Breart, G., Zeitlin, J. and Grp, P.E.R.I.S.T.A.T.S. (2006). Preterm birth and multiple pregnancy in European countries participating in the PERISTAT project. BJOG-AN INTERNATIONAL JOURNAL OF OBSTETRICS AND GYNAECOLOGY, 113(5), pp. 528–535. doi:10.1111/j.1471-0528.2006.00923.x . Puthussery, S., Twamley, K., Macfarlane, A. and Harding, S. (2006). Maternity care experiences of ethnic minority women born in the United Kingdom: Perceptions of mothers and health care providers. EUROPEAN JOURNAL OF PUBLIC HEALTH, 16, pp. 176–176. Blondel, B., Macfarlane, A.J., Gissler, M., Breart, G. and Zeitlin, J. (2006). Preterm birth and multiple birth in European countries participating in the PERISTAT projects. BJOG: an International Journal of Obstetrics and Gynaecology, 333, pp. 157–158. Ahmed, S., Macfarlane, A.J., Naylor, J. and Hastings, J. (2006). Evaluating bilingual peer support for breastfeeding in a local Sure Start. British Journal of Midwifery, 14(8), pp. 467–470. doi:10.12968/bjom.2006.14.8.21640 . McCourt, C., Bick, D., Hunter, B., Sandall, J., Macfarlane, A., Kirkham, M. … Osbourne, A. (2006). What price for a perfect delivery? RCM midwives : the official journal of the Royal College of Midwives, 9(3), p. 113. Macfarlane, A.J., Godden, S. and Pollock, A.M. (2005). Are we on track - can we monitor bed targets in the NHS plan for England? Journal of public health (Oxford, England), 27(3), pp. 263–269. doi:10.1093/pubmed/fdi035 . Zhang, W.H., Alexander, S., Bouvier-Colle, M.H. and Macfarlane, A. (2005). Incidence of severe pre-eclampsia, postpartum haemorrhage and sepsis as a surrogate marker for severe maternal morbidity in a European population-based study: the MOMS-B survey. BJOG-AN INTERNATIONAL JOURNAL OF OBSTETRICS AND GYNAECOLOGY, 112(1), pp. 89–96. doi:10.1111/j.1471-0528.2004.00303.x . Baxter, J. and Macfarlane, A.J. (2005). Postnatal caesarean care: evaluating the skill mix. British Journal of Midwifery, 13(6), pp. 378–84. Macfarlane, A.J. (2004). Social class and elective caesareans in the NHS - Analysis is not really about social class. BRITISH MEDICAL JOURNAL, 329(7460), pp. 291–291. doi:10.1136/bmj.329.7460.291 . Macfarlane, A.J., Stafford, M. and Moser, K. (2004). Social Inequalities. The Office of National Statistics. The Health of Children and Young People. Mahler, J. and Macfarlane, A.J. (2004). Trends in live births and birthweight by social class, marital status and mother's age and birthweight, 1976-2000. Health Statistics Quarterly, 23, pp. 34–42. Mahler, J. and Macfarlane, A.J. (2004). Inequalities in infant mortality: trends by social class, registration status, mother's age and birthweight, 1976-2000. Health Statistics Quarterly, 24, pp. 14–22. Zeitlin, J., Wildman, K., Breart, G., Alexader, S., Barros, H., Blondel, B. … Macfarlane, A. (2003). Selecting an indicator set for monitoring and evaluating perinatal health in Europe: criteria, methods and results from the PERISTAT project. EUROPEAN JOURNAL OF OBSTETRICS GYNECOLOGY AND REPRODUCTIVE BIOLOGY, 111. doi:10.1016/j.ejogrb.2003.09.002 . Macfarlane, A., Gissler, M., Bolumar, F. and Rasmussen, S. (2003). The availability of perinatal health indicators in Europe. EUROPEAN JOURNAL OF OBSTETRICS & GYNECOLOGY AND REPRODUCTIVE BIOLOGY, 111. doi:10.1016/j.ejogrb.2003.09.003 . Zeitlin, J., Wildman, K., Breart, G., Alexander, S., Barros, H., Blondel, B. … Comm, P.E.R.I.S.T.A.T.S.A. (2003). Peristat - Indicators for monitoring and evaluating perinatal health in Europe. EUROPEAN JOURNAL OF PUBLIC HEALTH, 13, pp. 29–37. doi:10.1093/eurpub/13.suppl_1.29 . Blondel, B. and Macfarlane, A. (2003). Rising multiple maternity rates and medical management of subfertility - Better information is needed. EUROPEAN JOURNAL OF PUBLIC HEALTH, 13(1), pp. 83–86. doi:10.1093/eurpub/13.1.83 . Macfarlane, A., Heyman, B., Dorling, D., Gordon, D., Davey-Smith, G., Dolk, H. … Sheldon, T. (2002). PFI is here to stay - Select committee's report used parliamentary privilege unacceptably. BRITISH MEDICAL JOURNAL, 324(7353), pp. 1584–1585. Johanson, R., Newburn, M. and Macfarlane, A. (2002). Has the medicalisation of childbirth gone too far? BRITISH MEDICAL JOURNAL, 324(7342), pp. 892–895. doi:10.1136/bmj.324.7342.892 . Blondel, B., Kogan, M.D., Alexander, G.R., Dattani, N., Kramer, M.S., Macfarlane, A. … Wen, S.W. (2002). The impact of the increasing number of multiple births on the rates of preterm birth and low birthweight: An international study. American Journal of Public Health, 92(8), pp. 1323–1330. doi:10.2105/AJPH.92.8.1323 . Macfarlane, A.J., Hockley, C., Johnson, A., McCandlish, R. and McNiece, R. (2002). Can the General Practice Research Database be used to monitor the health of babies and their mothers? Health Statistics Quarterly pp. 5–15. Macfarlane, A.J., Rowe, R.E., Garcia, J. and Davidson, L.L. (2002). Improving communication between health professionals and women in maternity care: a structured review. Health Expectations, 5, pp. 63–83. Blondel, B., Kogan, M.D., Alexander, G.R., Dattani, N., Kramer, M.S., Macfarlane, A.J. … Wen, S.W. (2002). The impact of increasing number of multiple births on the rates of preterm birth and low birthweight: An international study. American Journal of Public Health, 92, pp. 1323–1330. Macfarlane, A.J., Graafmans, W., Richardus, J.H., Borsboom, G.J.J.M., Bakketeig, L., Langhoff-Roos, J. … Mackenbrach, J.P. (2002). Birthweight and perinatal mortality and seven western European countries. Epidemiology, 13(5), pp. 569–574. Hawe, E., Macfarlane, A.J. and Bithell, J. (2001). Daily and seasonal variation in live births, stillbirths and infant mortality in England and Wales. Health Statistics Quarterly, 9, pp. 5–15. Rowe, R.E., Garcia, J., Macfarlane, A.J. and Davidson, L.L. (2001). Does poor communication contribute to stillbirths and infant death? A review. Journal of Public Health Med, 23, pp. 23–34. Macfarlane, A.J., Graafmans, W.C., Richardus, J.-.H., Rebagliato, M., Blondel, B., Verloove-Vanhorick, S.P. … Mackenbach, J.P. (2001). Comparability of published perinatal mortality rates in Western Europe: the quantitative impact of differences in gestational age and birthweight criteria. British Journal of Obstetrics and Gynaecology, 108, pp. 1237–1245. Butler, R., FitzGibbon, C., Gardner, J., Macfarlane, A., Smalls, M., Draper, D. … TarnowMordi, W. (1996). League tables and their limitations: Statistical issues in comparisons of institutional performance - Discussion. JOURNAL OF THE ROYAL STATISTICAL SOCIETY SERIES A-STATISTICS IN SOCIETY, 159, pp. 409–443. MOORE, P.G., SMITH, T.M.F., FIENBERG, S.E., WROE, D., WYNN, H.P., MARKLESS, R. … RENFERN, P. (1992). A NATIONAL STATISTICAL COMMISSION. JOURNAL OF THE ROYAL STATISTICAL SOCIETY SERIES A-STATISTICS IN SOCIETY, 155, pp. 5–28. doi:10.2307/2982666 . BOREHAM, J., BARNABY, F., WEBBER, P., MACFARLANE, A., GREENE, O., FINKELSTEIN, L. … JACKSON, F. (1989). A REVISED SET OF BLAST CASUALTY RATES FOR CIVIL DEFENSE USE - AN OVERVIEW - COMPUTER-MODELS OF THE EFFECTS OF NUCLEAR ATTACK ON BRITAIN - THE HOME-OFFICE AND ITS CRITICS - DISCUSSION. JOURNAL OF THE ROYAL STATISTICAL SOCIETY SERIES A-STATISTICS IN SOCIETY, 152, pp. 167–175. Rocca-Ihenacho, , macfarlane, A.J. and Brigante, L. What are the maternal and neonatal clinical outcomes for healthy women experiencing an uncomplicated pregnancy, who opt for freestanding midwifery unit care? A systematic review. BJOG: An International Journal of Obstetrics and Gynaecology. Euro Peristat, and Macfarlane, A. (2018). Euro-Peristat Project. European Perinatal Health Report. Core indicators of the health and care of pregnant women and babies in Europe in 2015. Euro-Peristat. Macfarlane, A.J. and Dorkenoo, E. (2015). Prevalence of Female Genital Mutilation in England and Wales: National and local estimates. London: City University London. ISBN 978-1-900804-93-6. Macfarlane, A.J. and Dorkenoo, E. (2014). Female Genital Mutilation in England and Wales: Updated statistical estimates of the numbers of affected women living in England and Wales and girls at risk Interim report on provisional estimates. London: City University London. ISBN 978-1-900804-92-9. Hollowell, J., Puddicombe, D., Rowe, R., Linsell, L., Hardy, P., Stewart, M. … Brocklehurst, P. (2011). The Birthplace national prospective cohort study: perinatal and maternal outcomes by planned place of birth Birthplace in England research programme. Final report part 4. HMSO. Schroeder, L., Petrou, S., Patel, N., Hollowell, J., Puddicombe, D., Redshaw, M. … Macfarlane, A. (2011). Birthplace cost-effectiveness analysis of planned place of birth: individual level analysis Birthplace in England research programme: final report part 5. HMSO. Rowe, R., The Birthplace in England Collaborative Group, , McCourt, C. and Macfarlane, (2011). Birthplace terms and definitions: consensus process Birthplace in England research programme. HMSO. Hollowell, J., The Birthplace in England Collaborative Group, , Mccourt, and macfarlane, (2011). Birthplace programme overview: background, component studies and summary of findings. Southampton: HMSO. Twamley, K., Irvine, P., Procter, S. and Macfarlane, A.J. (2006). An evaluation of maternity care provided in three Sure Start Local Programmes in Islington. Final report. London: City University London. ISBN 978-1-900804-02-8. Twamley, K., Irvine, P., Procter, S. and Macfarlane, A.J. (2006). An evaluation of maternity care provided in three Sure Start Local Programmes in Islington. Summary report. London: City University London. ISBN 978-1-900804-02-8. Macfarlane, A.J., Grant, J., Hancock, J., Hilder, L., Lyne, M., Costeloe, K. … Hird, M. (2005). Early life mortality in East London: a feasibility study. Summary report. Fetal and Infant Death in East London. London: City University London. ISBN 1-900804-34-4. Ahmed, S. and Macfarlane, A.J. (2002). Evaluation of Sure Start on the Ocean bilingual breastfeeding support work. Final report. London: City University London. Macfarlane, A.J. European Perinatal Health Report, Volume 2. To be published in May 2013..
Hilder, L., Ahmed, S. and Macfarlane, A.J. Child Health Information in the South East Region.. ISBN 1-900804-35-2.